Here is a collection of videos related to Israel-Palestine conflict, from short clips to movie length documentaries. At the end of this selection one can find videos related to Israel history and some highlights of Israeli defence. 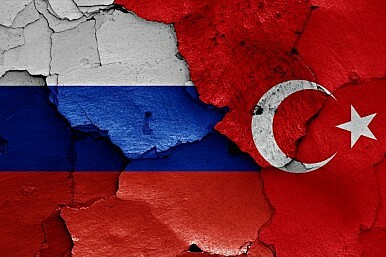 Ankara’s tensions with Moscow in the aftermath of the downing of a Russian fighter jet on 24 November 2015 close to Turkish borders could very well influence whether the two countries further pursue the building of TurkStream [Turkish Stream aka ex-South Stream] or not, however from brink of the war, now it seems that the both parties have an interest to reset relationship. 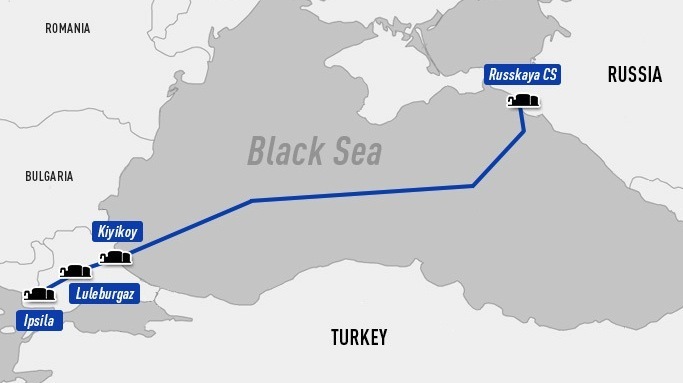 According Natural Gas World magazine Turkey has awarded Russian gas exporter Gazprom the first permits it requires for the development of the 31.5bn m³/yr Turkish Streamgas pipeline via Turkey. According to the statement 7th Sep. 2016 Gazprom has received the permits “through appropriate diplomatic channels” following a meeting last week between Gazprom CEO Alexei Miller and Turkish energy minister Berat Albayrak. Gazprom referred to the meeting as having seen the two sides reach an agreement to finalise quickly all the necessary procedures for initiating the project and quoted Miller as stating: “The issuance of first permits is good news for Gazprom. This move of the Turkish side reflects the interest of Turkey’s government in the Turkish Stream project and marks the transition to its practical implementation,” Gazprom said. Last year Gazprom completed an environmental impact assessment (EIA) report for the offshore and landfall sections of the new TurkStream project which was submitted to Turkey’s environment ministry for vetting. No EIA report has yet been submitted for the overland section of the line owing to a succession of bureaucratic and political delays, stemming from the need for the two countries to conclude an intergovernmental agreement for the line before they finalise the overland route. Turkish media reported recently that Gazprom has started surveying land in Thrace. TurkStream as a non-Western version of the ‘Southern Corridor’ is taking shape in EU/Eurasian energy game and this new arrangement has the potential to reshape the geopolitics of the entire Eastern Hemisphere. 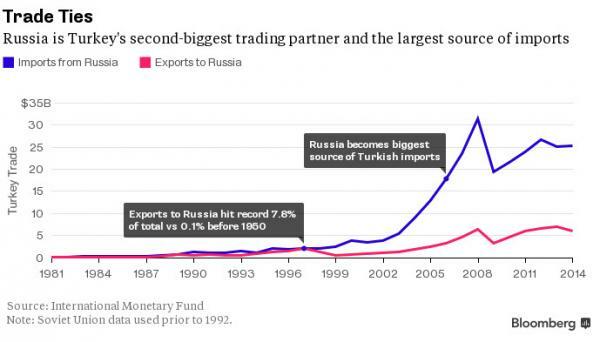 Russia’s trade with Turkey involves the sale of Russian gas and investment in Turkish nuclear facilities. Limiting either of these would hurt Russia as much as Turkey. 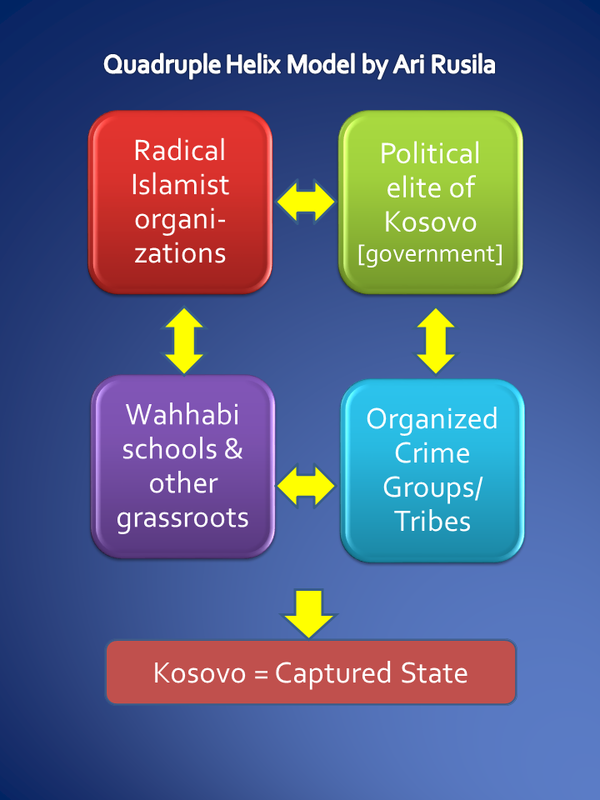 Both countries have a history of solve these types of crises, especially when it comes to economic issues. For example during the Crimea crisis, Ankara had expressed its worries about the Crimean Tatars, but the issue was not obstacle to begin negotiations with Russia for TurkStream. Reuters reported that Russia plans to sign an agreement with Turkey next month on the implementation of the TurkStream gas export pipeline project, Russian Energy Minister Alexander Novak was quoted as saying on 10th Sep. 2016: “The inter-governmental agreement and road map are currently being reconciled, the process of agreeing on the final text is underway. We plan to proceed to the signing in October,” Novak said. Turkey is the biggest customer of OAO Gazprom–Russia’s state owned gas monopoly–after Germany, and more than 50% of Turkey’s electricity production is dependent on imported Russian natural gas. Additionally, the two countries have shared intentions to build a new pipeline–the Turkish Stream pipeline, which Moscow wants to build to deliver gas to Europe, bypassing Ukraine–after Russian President Vladimir Putin shelved the South Stream Pipeline last December . Turkey buys close to 30 bcm of gas from Russia each year, and this year Gazprom can expect to secure around $9 billion from its sales to Turkey. Natural gas projects are not the only energy projects as currently, Russia’s state-owned nuclear energy company OAO Rosatom is building a four-reactor nuclear power plant project reactor inside Turkish territory at Akkuyu, in the Turkish Province of Mersin, now scheduled for 2019. Rosatom has already spent some $3bn on developing the $22 bn project and also needs the project as reference. Moscow has spent some $2 for the pipes originally ordered for the South Stream project that Turkish Stream replaced. Some $8-10 bn is still needed on delivering the 900-km pipe and its 180-km onward extension to Turkey’s border with Greece. However delay might be wise now during low gas prices and uncertainties as to how Turkish Stream would actually be able to deliver gas to mainstream European customers beyond Turkey. On the other hand, Erdogan’s political agenda is also critically dependent on continued success in delivering on a buoyant economy. The Turkish people experienced a level of prosperity during his rule that they never knew before, which explains the 52% mandate they gave him in the last election. Russian President Vladimir Putin said earlier that his country plans to increase its natural gas output over the coming decades while also aiming for a 13% share of the global LNG market. “Russia has made huge investments in exploration, refining, and transportation of gas and holds a great share of supplying security. The country plans to increase its output to 855 billion cubic metres per year by 2035,” he said, adding that Russia plans to export 128 billion cubic metres per year of gas to Asia in future. From the perspective of European Union the Projects of Common Interest (PCI) as envisaged by the European Commission in Brussels, clearly aim to interconnect the Balkans and the surrounding regions to facilitate the emergence of hubs and new transit routes. One of the approved PCIs is the Tesla route, a pipeline that aims to connect Greece with Austria, traversing the ex-Yugoslav states and Hungary. The project is actually a spur of the TurkStream one that is planned to cross the Black Sea towards the European part of Turkey and then reach up to Northern Greece. Despite that, the TurkStream pipeline project has not been included as a PCI. It might be that Tesla has been included because it could serve as a possible link to the Trans-Adriatic Pipeline (TAP), rather than the Turkish Stream pipeline. However since TAP has been designed for smaller quantities of gas than those that would be needed if Tesla becomes an integral part of it, TAP’s business plan will have to change dramatically. Tesla project is extremely important energy investment for the participating countries. The companies drafting the preparatory work, such as DESFA, FGSZ, GA-MA, and Srbijagas, have all been major clients of Russian giant Gazprom’s gas for decades, so the source of gas will be from Russia. The pipeline aims to terminate in the Baumgarten gas hub in Austria and it will have a reverse flow capacity, planned to be completed by 2019. Reverse flow is a major component in energy security considerations. One should take into account the Nord Stream-II pipeline, which aims to greatly increase direct gas supplies from Russia to Germany that could then, quite easily, flow to the Baumgarten hub. Turkey’s Gunes newspaper reported that as part of the discussion between Putin and Erdogan on 9th Aug. 2016, the Turkish president suggested to abandon the US dollar in bilateral trade between Turkey and Russia, and instead to transact directly in lira and rubles. This would “benefit both Russia and Turkey”, Erdogan allegedly said, adding that this would relieve the lira from the USD’s upward pressure. Relations between Turkey and Russia were normalized when President Recep Erdogan and President Vladimir Putin met in St. Petersburg on 9th August 2016. President Erdogan said at a joint news conference with President Putin that building the gas pipeline quickly was a priority. Relationships continued to develop further during their recent meeting in the G20 Summit in Hangzhou/China. The fresh impetus to bilateral relations and joint projects primarily relates to the construction of the TurkStream pipeline, which may become one of the key elements of a new gas pipeline infrastructure in Europe. Today – unlike year ago – Turkey is interested in connecting to the pipeline to Southeast Europe; this change is reflected in Turkey’s desire to strengthen relations not just with Russia, but also Greece and other Balkan countries. Turkey is even prepared to make substantial financial concessions to Russia, including paying for half of the pipeline’s construction as President Erdoğan has suggested sharing the costs for the Turkish part of the project. Athens is closely watching Russia-Turkey talks on a pipeline that will bring Russian gas to the Turkish border with Greece, Prime Minister Alexis Tsipras said Sunday 10th September 2016: ”We are closely watching negotiations and on-again, off-again relations between Russia and Turkey. We are glad to see those ties mended,” Tsipras told reporters at the international fair in Thessaloniki. Meanwhile, Greece is preparing to make a case for another gas link to Russia before the European Commission in September.” Greece hopes to begin talks with the European Commission next week on the construction of the South European Pipeline that would deliver Russian gas to Europe, Greek Energy Minister Panos Skourletis said Sunday. In Balkans Moscow’s object of focus is the Central Balkans of Republika Srpska, Serbia, and the Republic of Macedonia, with the latter two envisioned to serve as the crucial transit states for the Tesla pipeline. Russia’s relations with Greece are already very friendly, though the present relationship owes itself more to Athens’ desire for economically reliable partners. On the other hand US and EU Diplomacy are alarmed by the new developments that occur in the triangle between Russia-Greece-Turkey with the notable inclusion in it of European companies. The Turkish-Russian rapprochement might open the door to more exports of Russian gas to Europe, whereas EU (and US) would hope to reduce heavy dependence on Russian supplies. In addition TurkStream will kill EU’s trans-Caspian pipeline projects bypassing Russia, diminishes Russia’s dependence on Ukraine as transit country for gas exports to Europe and all this instead of European market sourcing non-Russian energy, such as increased LNG supplies from the US. Turkey and Russia have shared interests in the geopolitical space surrounding the two countries. On the one hand, Turkey’s cooperation is crucial to Russian efforts to stabilize the Syrian situation while on the other hand TurkStream cements the EU market on a long-term footing for Russian energy exports. You are currently browsing the Conflicts by Ari Rusila blog archives for September, 2016.